brick built building provided booking facilities, waiting rooms and staff accommodation. On the east bound platform there was a single story waiting shelter. 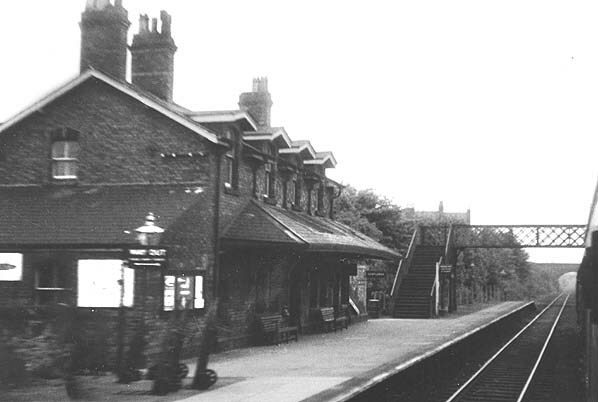 The station was mostly served by local stopping trains but it was able to accommodate lengthy express services as it was provided with long platforms. There were no goods facilities after 1.11.1952 although a coal depot remained in use after that date. To see other stations on the Chester - Holyhead line click on the station name: Sandycroft, Queensferry, Bagillt, Holywell Junction, Mostyn, Talacre, Prestatyn (1st site), Prestatyn (2nd site and Dystrth branch platform), Foryd, Llandulas, Llysfaen, Old Colwyn, Mochdre & Pabo, Llandudno Junction (1st site), Conway, Conway Marsh, Llanfairfechan, Aber, Menai Bridge, Britannia Bridge, Gaerwen & Valley. 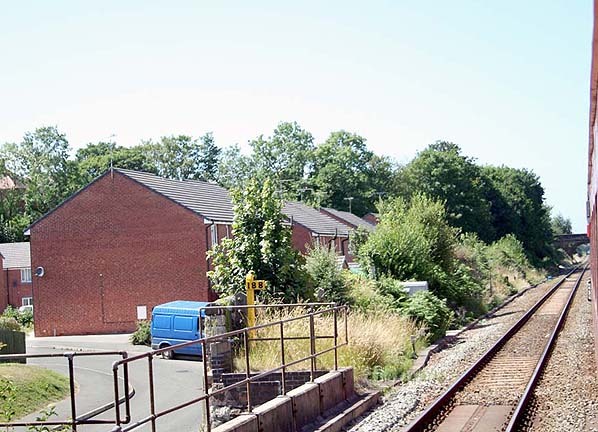 Site of Down line (Westbound) platform at Connah's Quay, looking west in June 2006. New houses occupy part of the station approach.